THE PRESSURE is mounting at Stebonheath as The Reds edge another step closer to promotion and academy status. 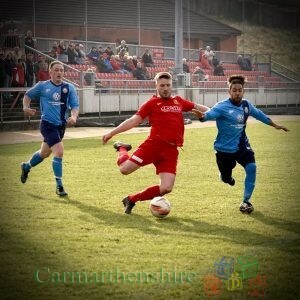 Despite winning 5 – 0 against Newport City on Saturday (Feb 18) Red’s manager Andy Hill said he wanted more. Speaking to Carmarthenshire Media after the game Andy said: It was a convincing win but a bit frustrating that we didn’t get a few more goals. They came to defend and they did that well. It was their game plan from the start. We have a tough match against one of the top clubs next week and we have to win that one. The Reds can be confident given that they remain unbeaten in the league and they still have the goal machine Lee Trundle in fine form. Before Saturday’s match both teams of players lined up at the centre circle for a minute’s applause for former Reds player Robbie James on the anniversary of his death and for groundsman Eddie Donne’s father who had recently passed away. It was clearly a very emotional moment for Eddie as he lined up with The Reds players. When the game got underway under the gaze of Welsh legend, former Wales player and manager Terry Yorath. It took a mere 15minutes before the closely marked Trundle was brought down in the penalty area. 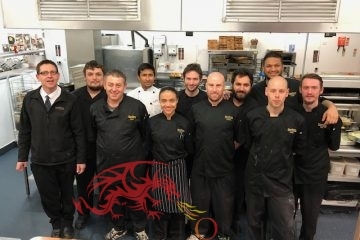 Referee Pascal Neale pointed to the spot and Trundle punished the visitors with a pin point strike into the bottom left corner of the net to put Llanelli ahead. James Loveridge looks like he is beginning to settle in at Stebonheath and he is a force to be reckoned with on the wing. He came close a couple of times hitting the post and crossbar. 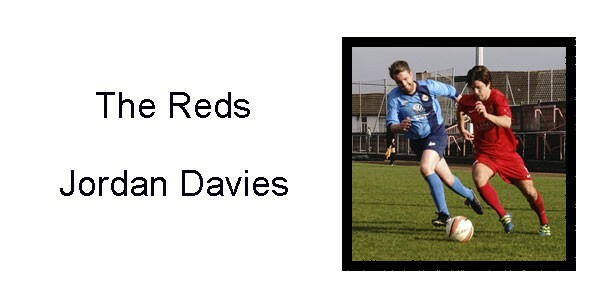 The Reds are also fortunate enough to have the diminutive but powerful Jordan Davies in the squad. He can always be relied on to run at the opposition and set up goal scoring opportunities. It was the Davies and Loveridge combination, which netted the second goal for The Reds and despite a few attacks by the visitors it was The Reds who began to dominate the first half with City’s keeper doing well to deny Trundle and Loveridge on a few more occasions. 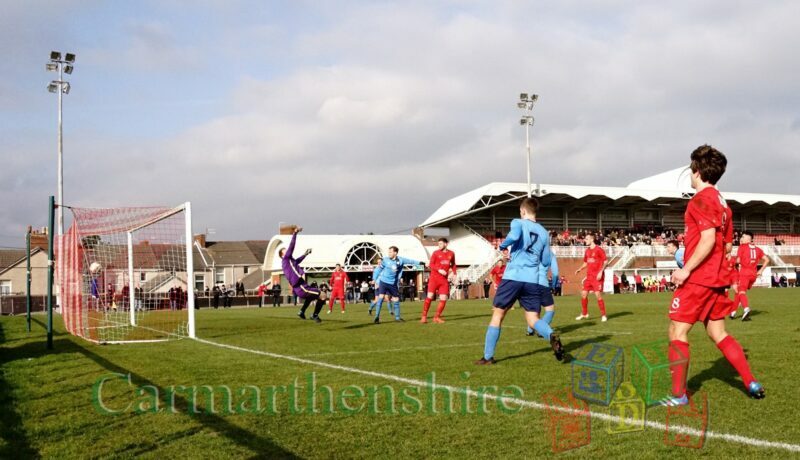 The second half really was frustrating for The Reds as Newport City dug their studs in and remained camped in their own half as if their lives depended on it. That did not bode well for entertainment value and they may have represented themselves better if they had taken risks rather than putting a curtain of players around the goalmouth. 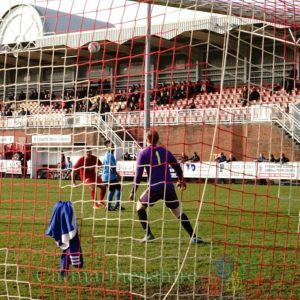 Trundle is unstoppable when he gets the ball in the goal area. It is a joy to watch his control, strength and skill on the ball, which inevitably ends up in a goal. 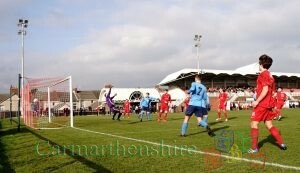 So it was when he burst through the midfield and blasted a shot at goal only for the City keeper to parry it out. 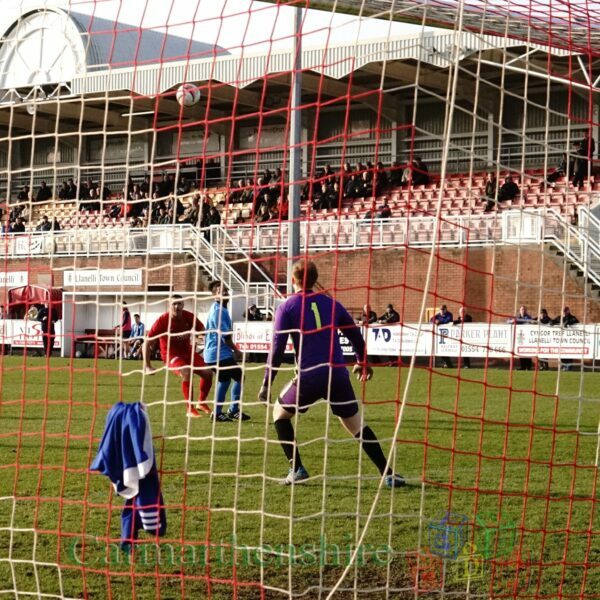 This time Trundle was there for the rebound and side kicked it to Jordan Follows who managed to find the net for the home side’s third goal. and rolled off into the goal. He won’t be complaining about the way in which it went in. The Reds are expecting a large crowd at Stebonheath on Friday (Feb 24) with the visit of second-placed Briton Ferry Llansawel. This result could be crucial in deciding who wins the title. Kick off 7.30 p.m.